Hookup and equipment wires are usually insulated and flexible wiring. 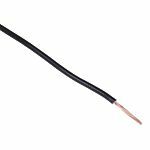 Used internally for electrical or electronic equipment, the sheathed cover of the wires are generally made from PVC. PVC is an important protection and insulation for cables where there is a connection to an electric mains or power source. What are hook-up and equipment wires? Hook up wires usually contain tin or copper, or the two are used in conjunction with one another in braid, solid or strands. 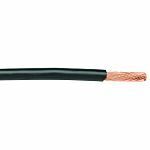 Copper wire is an excellent conductor of electricity, and therefore copper is generally used in cables. A variance of copper is used in wires, such as tinned, nickel plated or annealed. These types of wires come in a variety of colours. The choice of coloured casing allows for easy identification when using more than one cable at a time for internal wiring. 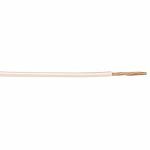 Hook up wires or copper equipment wires as they are also known, are primarily used for low voltage application. Hook up wire can be used in circuit boards, plugs, socket, computers, meters, auto-motives and other electronics. Other applications range from household appliances to machinery. What wires do RS offer? RS offers a wide range of electrical wire, where the cross sectional area ranges from 0.05 mm² up to 35 mm² in size. 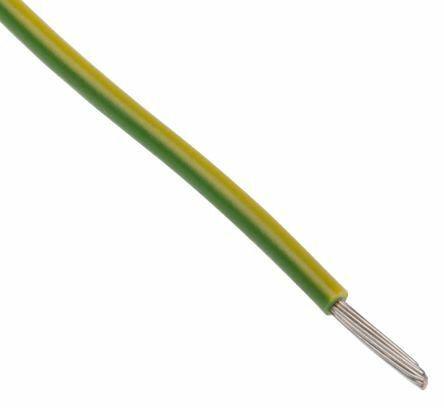 They also range in American Wire Gauge from 2 AWG up to 30 AWG, and are available in metres or reels, allowing for single or multiple usage. 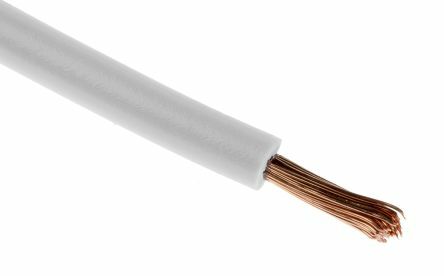 A plain copper stranded conductor covered by a PVC insulated sheath.These flexible wires are intended for use with electrical power, lighting and internal wiring. 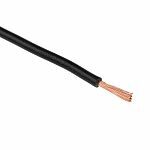  Flexible class 5 conductors BS6004 Conductors Plain annealed copper conductors Harmonised code H05V-K.